Create unlimited signup forms for the users. Choose the mail list you want for each form. Apply the same list for all submissions automatically. Add subscribers automatically to your Campaign Monitor email list when a form is submitted. Grow leads to reach out to your users & customers. Control opt-in to add any subscriber only when a certain condition is met. Campaign Monitor is a popular Email Marketing solutions and trusted by 2 M+ people. 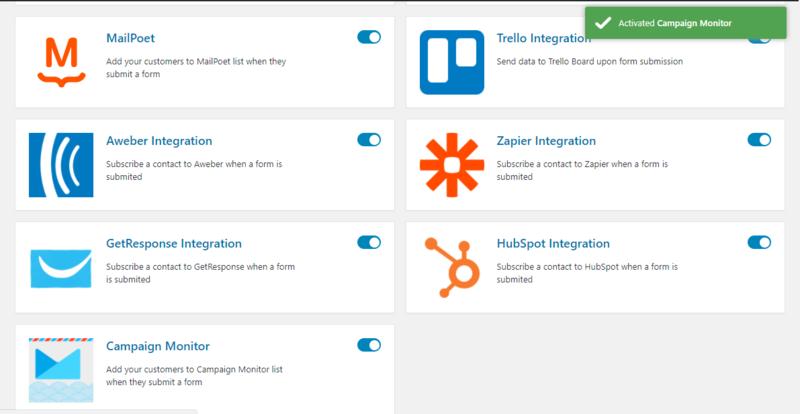 However, you might still need subscription forms and this is where integration with weForms comes in handy.